I did half of this assignment (“add an output device”) back in initial experimentations for Week 7. This week I’ve worked mostly on the other half, which is “on a board you designed”. 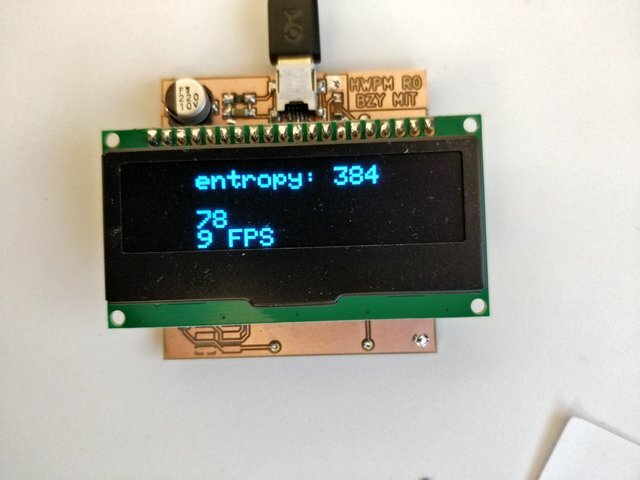 In contrast to initial experiments in Week 7 where I used an OLED display over I2C, the project board connects it over SPI. The Adafruit library supports both just fine with simple code changes. So now I have a board with a nice OLED screen.